A lot of people learn to drive as soon as they are old enough, but many people don't, for various reasons, such as not having the money or time, or simply not needing a car because they live in a place where everybody uses public transport, like central London. If you never learned to drive at 17 and are now feeling like you would really love to be able to, but are daunted by the prospect, it is worth considering that starting to drive in your twenties, thirties, forties or even later could actually make it easier for you. While it is a stereotype to suggest all young drivers are reckless, as some certainly take it very seriously, as a more mature adult you are probably now a more responsible and sensible person than you were at 17 or 18, and this will reflect in your driving. 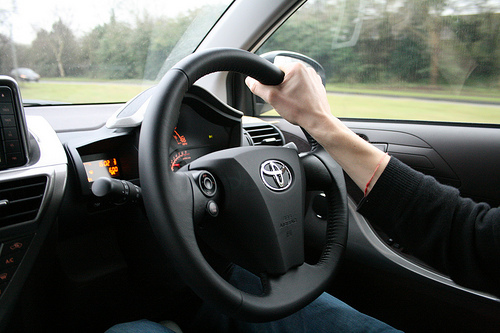 You are likely to be more cautious, and study more diligently for things like your driving test. There are lots of resources to help you like this free driving theory practice test that you can do online. And because you are likely to commit yourself to studying and practicing, as well as to actually becoming a good driver rather than simply passing, you're more likely to approach learning to drive with the kind of attitude that leads to success. At 17, usually the only times you have had to pass something under pressure are when you did your GCSEs and possibly AS levels. As an adult, you've been in lots of situations that have pushed you, from university to job interviews and work, as well as possibly even scarier things like becoming a parent. This life experience helps you treat learning to drive more calmly, as it is just another one of life's challenges, rather than the most important thing in your life (as it can often seem as a teen). If you fail, you are less likely to get overly frustrated or upset, and simply work hard and try again. As a more mature person who has never learned to drive, you know how much of a problem it can be at times. You can also get immediate benefits that teens don't usually need to think about, like being able to drive your family around or being able to drive for work. A driver's license can even help you get a job. Because you have better incentives than many younger people, you are likely to treat learning to drive as an important priority. Learning to drive is possible at almost any age, and there is no reason to believe that just because you never tried to drive in your teens that you will have a harder time learning now. If anything, you may even find you can get through it more calmly and easily as the mature person you are today!